Jean Darnall, whose renowned ministry crossed continents bringing the gospel and the power of the Holy Spirit, went to be with the Lord on Monday, Jan. 14. 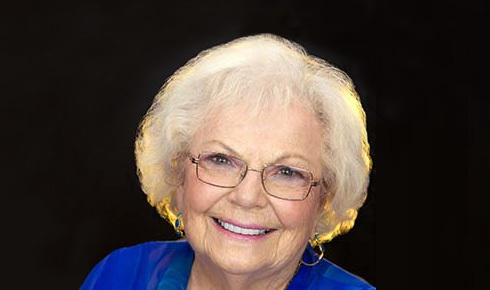 Longtime Foursquare pastor, missionary, evangelist and author Jean Darnall passed away on Friday, Jan. 11, at the age of 96. Her roots in The Foursquare Church went back to our movement’s founder, Aimee Semple McPherson. After marrying fellow student Elmer Darnall, Jean and her husband would go on to pastor, evangelize, and plant churches and Bible schools. They worked around the U.S. as well as in Australia, Panama, Canada and the U.K., where they lived for 25 years. Jean also formed Jean Darnall Ministries to further spread the gospel. 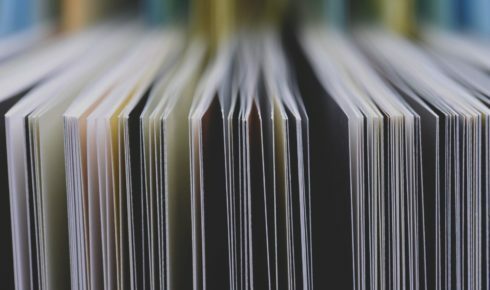 Her 1998 book Heaven—Here I Come recounted her testimony and many miraculous answers to prayer she had seen during her life. Ted Vail, Ph.D., director of Foursquare Missions International, says Jean played a major voice in the charismatic movement in Britain. She spoke at churches where women normally didn’t speak, and served as a bridge between denominations and gender, Ted notes. Jean was a native of Toledo, Ohio. Her family didn’t attend church when she was growing up. 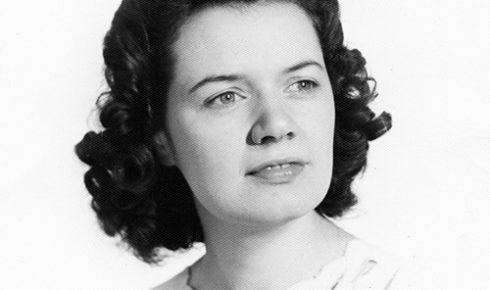 However, after Jean was diagnosed with a serious kidney infection at age 16, her mother sought out a new storefront church after seeing their ad, which included the words, “Jesus heals.” Jean experienced healing after the female Foursquare evangelist sent by Sister McPherson prayed for her. So did her father, whose lungs had been damaged by chlorine gas during World War I. The experience launched her on a path to a lifetime of ministry that spanned more than seven decades. It would include six years as an associate pastor at Angelus Temple after the Darnalls returned from the mission field so Elmer could further his education. Jean would serve on the Angelus Temple staff a second time after returning to Los Angeles from Hawaii in 2003 to work with the Korean Foursquare Church and direct a school of intercession in the city’s Koreatown neighborhood. The couple’s first overseas missions assignment in 1953 was to Perth in West Australia. There they conducted an evangelistic campaign with support from people who had been converted during Sister McPherson’s visit to Australia in the 1920s. They would go on to establish a church and a correspondence school affiliated with L.I.F.E. 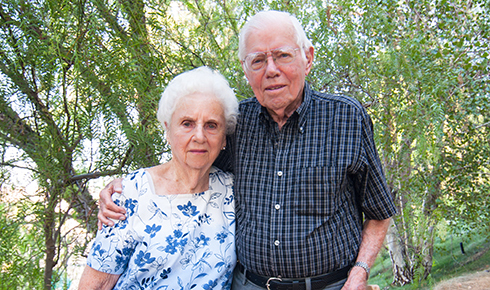 Strong believers in the power of the Holy Spirit, the couple played a key role in the charismatic renewal that spread across the U.S. and other parts of the world in the 1960s and 1970s. In England, they helped establish a Foursquare church and a Bible college, while Jean also preached in many Anglican churches. The couple was involved in the Festival of Light, an event that prompted thousands of young people to participate in the March for Jesus in Britain and elsewhere. In 1973, they helped arrange a national tour of the Christian musical “Come Together.” It was presented to sold-out audiences in 10 cities over a 10-day period with the help of singer Pat Boone and the musical’s composer, Jimmy Evans. Elmer, who died in 2004, and Jean had a son, John, and a daughter, LaDonna. She is also survived by five grandchildren and six great-grandchildren. Click here to read Jean’s account of how the Lord healed her as a child. A memorial service will be held at 11 a.m. on March 15 at Angelus Temple. The service will celebrate Jean’s life and service as an ordained minister flowing in the power of the Holy Spirit. Ken Walker	is a freelance writer and book editor in Huntington, W.Va.
Jean was an amazing woman and minister of the Lord – the key person in the renewal movement and touching people in many denominations and churches. Many still are expecting the complete fulfillment of her vision for the UK and Europe – a revival that we’re seeing the start of today. I had the privilege of working with Jean as she changed her Revival / Renewal meetings into the First Foursquare Church of the City of London, England – Hosanna responding to the heart needs of those who came to her. With respect – I believe the authors of ‘Come Together’ and ‘If my people’ were Jimmy and Carole Owens and not Jimmy Evans as mentioned in this article who again had a significant influence in this country.